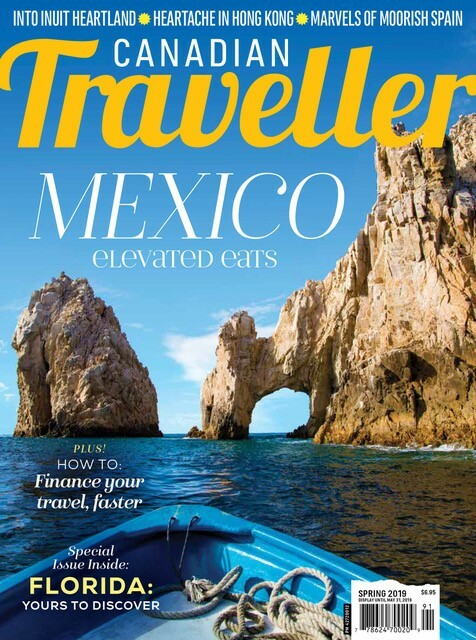 What do Ernest Hemingway, Charles Dickens and Margaret Atwood have in common? Aside from being world-renowned authors, all three have ties to the Kingston Penitentiary in Ontario. As a young journalist, Hemingway was sent by the Toronto Star to cover the escape of notorious bank robber, Red Ryan, in 1923. Dickens visited the Kingston Penitentiary — or The Provincial Penitentiary of the Province of Upper Canada, as it was known at the time — as part of his tour of North America in May of 1842. As for Atwood, her novel Alias Grace was inspired by the story of KP inmate Grace Marks, a teenage servant convicted of the controversial murder of her employer and his housekeeper in 1843. Open from 1835 to 2013, the Kingston Pen sits on an 8.6-hectare property next to Lake Ontario, was British North America’s first penitentiary — even predating Canadian Confederation — and was a functioning prison for 178 years. Since closing its doors five years ago, it has become a historical site that’s open to the public for guided tours. And who better to include on a tour of this notable prison than those who formerly patrolled its halls? Kingston Pen tours at times employ former guards, offering a rich, authentic experience for all visitors. Read on for a taste of what you can learn at the birthplace of Corrections Canada. In its early days, the Kingston Penitentiary housed men, women and even children as young as eight, convicted of various offences. Early corrections focused on isolation and silence, wherein convicts were forbidden from speaking with or even motioning at one another. The silence in such an expansive facility would have been deafening, not to mention eerie. 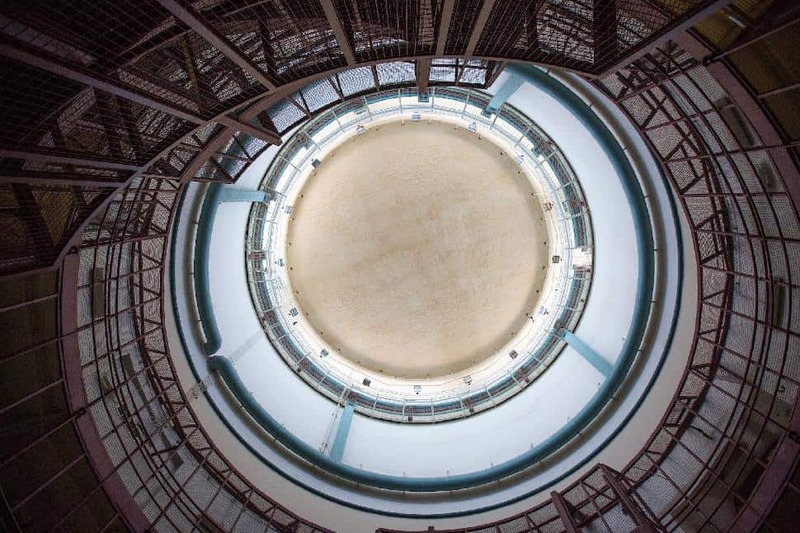 Those familiar with Foucault (or anyone who’s seen a prison-focused film or television show) will know that the architecture of a correctional facility is used strategically in the rehabilitation of inmates. From the dark stone walls to the imposing corridors, you’ll immediately feel the sobering effect of the penitentiary’s intended purpose upon entering the grounds. Even the main gate’s neo-classical design was intended to intimidate offenders upon their arrival. While the first inmates were confined to cells that were only two-and-half by eight feet in size (later expanded to five by nine feet), they did have access to the recreation yard; this area of the penitentiary was home to the stables — at least until 1923, when the stables were set on fire as a distraction during Red Ryan’s infamous escape. From the 1930s onward, it was the location of a softball diamond. In addition to recreation, both male and female inmates at the Kingston Penitentiary were occupied with work to provide them with employable skills, have them aid in the maintenance of the facilities and raise additional income for the penitentiary to offset the cost of operation. Inmates worked as rope makers, carpenters, stonecutters and in the canvas room, which was used in the production of mail bags for Canada Post. As with many historic institutions, Kingston Penitentiary is not without its share of controversy. Over its nearly 178 years in operation, there were not one, but three separate riots, which took place in 1932, 1954 and 1971. The riot of 1971 lasted four days and caused such extensive damage that parts of the penitentiary were never reopened afterwards. 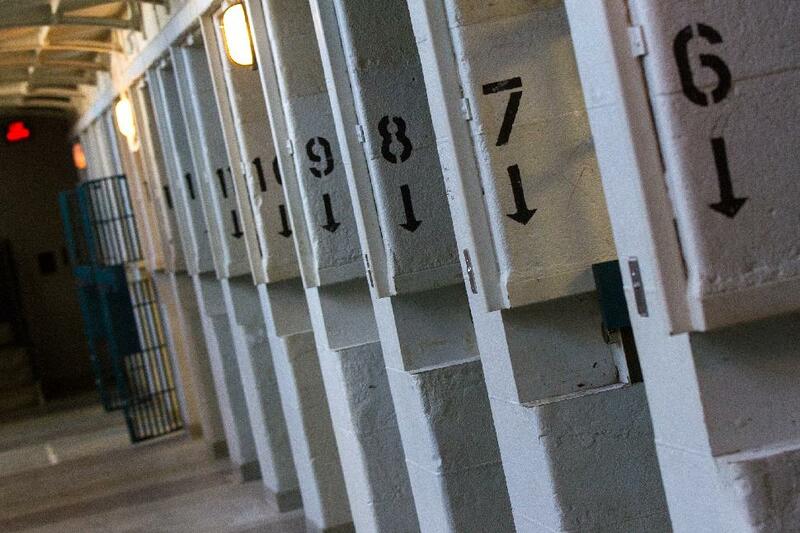 Housing upwards of 1,240 inmates at its peak occupation in 1959 and employing some 450 staff, this historic landmark is a powerful piece of Canadian history that visitors will revel in exploring. 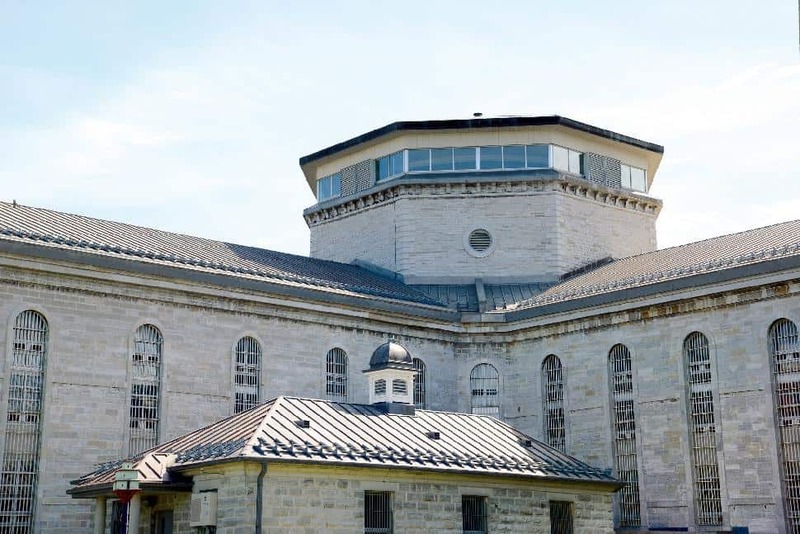 Even locals can enjoy learning the rich and complicated history of the Kingston Penitentiary by taking advantage of special pricing exclusive to Kingston residents every Tuesday in July and August. For further information, or to book your tour, visit kingstonpentour.com today.